A national law firm that specializes in Indian law is donating $3.5 million to improve medical care for tribal members. The decision comes after the firm, which has offices in Anchorage, helped win a case before the U.S. Supreme Court involving hundreds of millions of dollars for tribal health organizations. Miller says in the coming year, the firm will be working on grants to other tribes in Oklahoma, and in North Dakota, South Dakota, and Montana. Patricia Paul … is now a judge of the Confederated Tribes of the Grand Ronde Court of Appeals. 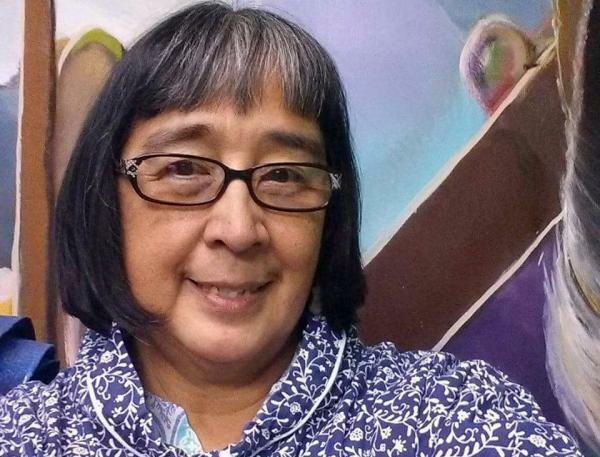 Patricia Paul, Inupiaq, is a business and estate-planning lawyer specializing in land use law and federal Indian law. She and her artist husband Kevin live on the Swinomish Reservation, where he serves on the Swinomish Senate. She manages the business end of K. Paul Carvings, writes a traditional-cooking column for a local newspaper, and her daily social media posts range from local happenings to that day’s culinary creation. Her spare time is her own. And she’s filling it with another important task: She’s now a judge on the Confederated Tribes of Grand Ronde Court of Appeals. The Tribal Council appointed Paul to a term ending on November 30, 2016. She joins Robert J. Miller, Eastern Shawnee, Douglas R. Nash, Nez Perce, on the court. She previously served as an appellate judge for the Northwest Intertribal Court System, presiding on appeals at Nooksack, Port Gamble S’Klallam, and Tulalip. Paul brings a varied background to the bench. Paul earned a bachelor’s degree in liberal studies from Antioch University in 1993, and a law degree from Seattle University in 1998. She attended The National Judicial College in Reno, Nevada in 2011 and earned a certificate in Innovations in Governance from Harvard University’s John F. Kennedy School of Government in 2005. She was legislative policy analyst for Quil Ceda Village on the Tulalip Reservation from 2003-06, before leaving to concentrate on her law practice. She served as parliamentarian of the annual shareholders meeting of Doyon, Limited, an Alaska Native Corporation, in March 2009. In November 2012, Paul lectured in Bhutan on the topic of cultural change, and presented a paper on that topic in 2012 at the 54th International Congress of Americanists in Vienna. In wake of the 5 – 4 decision by the Supreme Court in Burwell v. Hobby Lobby issued June 30, political commentary on religious freedom, abortion rights, and the war on women has been endless. Less talked about in the mainstream has been that the court used an Indian-centric law, the Religious Freedom Restoration Act (RFRA) of 1993, to help it come to its opinion, which said that some family-owned and other closely held businesses, like the Hobby Lobby craft store, are allowed to opt out of the federal Obamacare mandate requiring such companies to pay for contraceptives in health coverage for their workers. As the conservative justices wrote for the majority, the RFRA was enacted by Congress in 1993 in response to a 1990 high court decision, Dept. of Human Resources of Ore. v. Smith, which found that a state could deny unemployment benefits to a person fired for using peyote, even if the drug was used as part of a religious ritual. The Smith case came to fore after two members of the Native American Church were fired for ingesting peyote for sacramental purposes and then were later denied unemployment benefits by the state of Oregon because consuming peyote was against the law there. Enter Congress and its RFRA, aimed at preventing such religious-based discrimination. It passed with almost unanimous support in both the House and Senate, and President Bill Clinton signed it into law in 1993. One year later, the House Subcommittee on Native American Affairs and the Senate Committee on Indian Affairs further dealt with the narrow issue of Smith on the specific issue of the sacramental use of peyote. Fast forward 20 years: The owners of Hobby Lobby and two other closely held for-profit corporations who believe life begins at conception and that it would violate their Christian beliefs to pay for birth control, sued the federal government under the auspices of RFRA. The high court further offered that the federal government could find ways to pay for birth control coverage if it wishes to do so. And that is how a law rooted in protecting Indian religious freedom was successfully used by major companies to shield them from having to pay for birth control for employees covered under the companies’ health plans. It was a shocking development to many Indian-focused legal experts who were working in the trenches during the peyote-based foundations of RFRA, and who have since seen that very law applied by the federal courts in ways that they feel are unjust toward American Indian religious practices involving sacred sites. Pevar followed the drafting of the RFRA and early Indian advocacy for it by respected Native American legal scholars including Jack Trope, director of the Association on American Indian Affairs, and Walter Echo-Hawk. Trope, too, was surprised to see the RFRA used in such a manner. “I can’t say that I ever really thought about the issue of for profit corporations utilizing RFRA until these cases came up,” he says. In 1997, Indian-focused legal advocates were disturbed to see the RFRA watered down by the Supreme Court, which ruled then in City of Boerne v. Flores that the law was applicable to the federal government but not to the states. Thus, tribal citizens who have their religious freedoms usurped by states, as happened in the original Smith Peyote case, are left unprotected by federal law. Of more concern to such advocates is that the high court has never used the RFRA to do what it was intended to do: protect Indian religious freedoms. Yet now, it is using the law to limit the rights of women who want to use their healthcare coverage to buy birth control. Pevar sees a parallel between how the high court treats Indians and women. “The Supreme Court, with rare exceptions, has been insensitive to women’s issues, and the Court’s record is even worse—far worse—on Indian issues,” he says. “In the last 30 years, Indians and tribes have lost at least 75 percent of their cases in the Supreme Court. The Supreme Court is asked to review some 7,000 cases a year but selects fewer than 100. A Silver Lining for Sacred Sites? If there is any good news for Indians to come from the case, Trope says that it provides an outline to allow Native-focused lawyers to strengthen their arguments in the federal courts regarding the use of RFRA to protect sacred sites in future cases. Because the application of RFRA to Native sacred sites has been unresolved to date – notwithstanding the Ninth Circuit’s toiling in Navajo Nation’s San Francisco Peaks case – Trope finds in the latest decision a reason to be hopeful. 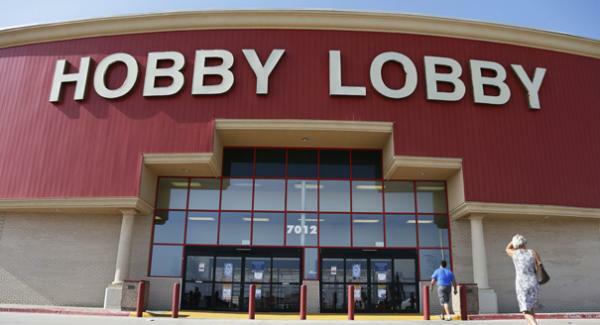 “[O]nly time will tell whether the interpretation of RFRA in Hobby Lobby turns out to be helpful in future sacred sites cases or whether courts will continue to find ways to reject Indian religious freedom claims,” says Trope. Indian law experts are giving the same advice about United States courts, but it’s no laughing matter. At the National Congress of American Indians 70th Annual Convention in Tulsa, Oklahoma, in October, Richard Guest, the Native American Rights Fund’s lead staff attorney in Washington, sounded the alarm. Guest, NARF founder and director John Echohawk, and NCAI general counsel John Dossett have worked together for years on the Tribal Supreme Court Project and updated convention attendees about their current work. “The federal courts are not your friends anymore,” Guest continued. The majority of judges sitting on the lower federal courts were appointed by Bush II – very conservative, have no understanding of Indian country at all. No interest in your issues. And that can be said of the Roberts court as well. It’s a very difficult place for tribes to secure victories. The NARF still wins about 50 percent of its cases in federal courts, Guest said, but the challenge is in determining which cases will go up to the U.S. Supreme Court.“There are a lot of cases to keep track of that may be headed toward the Supreme Court and that’s one of the things the Tribal Supreme Court Project does,” Echohawk said. The project works with the tribal parties involved to brief the issues and bring all the experts – Indian law attorneys, Supreme Court practitioners – together in the hope of changing the losing record, he said. The same goes for Michigan v. Bay Mills Community, Guest said. The U.S. Supreme Court will decide whether a state can challenge a tribe’s right to open a casino in this case, which involves a three-year old conflict over an off reservation tribal casino in northern Michigan. The high court will not rule on whether the off reservation casino is legal; it will decide whether the state has the legal standing to challenge a tribe’s right to open the casino. The ruling can potentially impact tribal sovereignty throughout Indian country and be as devastating as the Supreme Court’s 2009 Carcieri ruling, which limited the U.S. Department of the Interior’s ability to take lands into trust for tribes recognized after 1934, Guest said. The Tribal Supreme Court Project attorneys are asking tribes not to file individual briefs in the Bay Mills case but rather to sign on to the project’s amicus brief on the “strength in numbers” theory. For more information contact Guest at Richard.g@narf.org or Dossett at jdossett@ncai.org. With his distinctive round eyeglasses and long, gray braids, Walter Echo-Hawk looks rather more owlish than revolutionary. 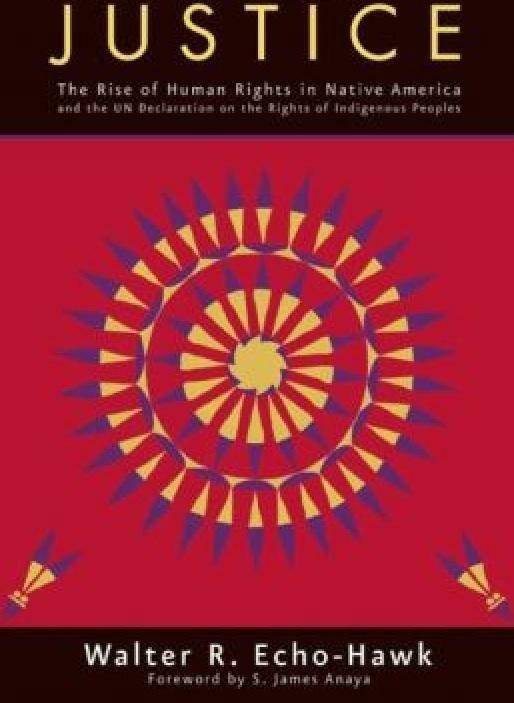 But the longtime Pawnee speaker, author and lawyer who toils on the frontlines of federal Indian Law makes a strong argument that it is time to drive a stake into the legacy of colonialism in his new book, In the Light of Justice: The Rise of Human Rights in Native America and the UN Declaration on the Rights of Indigenous Peoples (Fulcrum, 2013). That stake could be the United Nations Declaration of the Rights of Indigenous Peoples, which Echo-Hawk sets out to examine and explain. Adopted by the United States in December 2010, it has yet to be integrated into law or policy. This provocative book, educational and inspiring for indigenous and “settler” alike, can show the way. Echo-Hawk says he was motivated to write this volume as something of a hopeful counterpoint to his previous book, In the Courts of the Conqueror, which examined the worst cases in federal Indian law. What jumps out at anyone studying mainstream attitudes toward this country’s Indigenous Peoples is the fact that what much of white America thinks of as a bygone era of treaty making, frontier warfare and taming the West is, to Indian people, current events. Life under the heel of historical oppression looks far different than the view of the boot wearer. This difference in perspective goes deep to the bubbling heart of the notion of Melting Pot America, dividing white from brown, immigrant from Native. The confusion over Indian and Non-Indian relations becomes clear in this well-focused book when Echo-Hawk identifies a root cause that is often forgotten, or is not understood in the first place: colonial policies and their attendant settler mind-set. It’s symptomatic of a severe disconnect, to say the least, that a nation founded upon principles of liberty and justice and freedom for all—one willing to shed blood in defense of these principles against oppressors, no less—could treat its original inhabitants with such astonishing injustice. Echo-Hawk demonstrates how this dynamic plays out in America’s courtrooms, especially the U.S. Supreme Court. Chief Justice John Marshall is one of the nation’s most revered jurists, yet it was Marshall who introduced the doctrine of conquest into federal Indian law in the 1823 decision Johnson v. M’Intosh, ruling that colonists owned any Indian lands “acquired and maintained by force.” Tribal people, he wrote, were “fierce savages, whose occupation was war,” and thus did not warrant international legal protections for countries under invasion. Doctrines of conquest and discovery used by European nations during 500 years of colonization, Echo-Hawk writes, allow governments to usurp indigenous land, property and rights without consent even today. Though Marshall later evolved his thinking, Echo-Hawk notes, the seeds planted in 1823 still exist. The Roberts Court, he writes, is one of the most hostile to Indian rights—the Baby Veronica ruling being the most recent example—and is actively eroding gains made in recent decades. For every M’Intosh, Echo-Hawk says, there were other, more reasoned, decisions such as Worchester v. Georgia in 1832, in which the high court rejected conquest as an absurd legal fiction. But even as that ruling was being published, the federal and state governments were in the grip of the Indian Removal Movement, evicting Southern tribes from their homelands. These “clothes of the conqueror,” as Echo-Hawk calls them, do not befit a democratic nation such as ours. 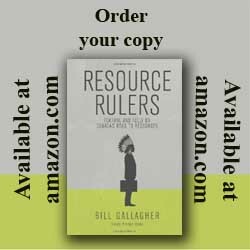 He offers keen insight into the parallels between the long, painful African-American struggle for equality and the fight of tribal people to maintain their rights. The Civil Rights movement for many years used a counterintuitive tactic, known as the Margold Plan, to file a multitude of lawsuits urging the federal government to uphold its legal standard of “separate but equal.” Case after case after case was pursued to this end, forcing school districts and local governments and the courts to confront racial inequalities and cynical government policy. Over several decades this approach focused at least a trickle of attention onto racial injustice, scored court victories and gained allies. Then, Brown v. Board of Education signaled a shift in tactics to a direct assault in order to show, Echo-Hawk writes, that “separate but equal” was unconstitutional. Echo-Hawk believes that Indian Country is poised at a similar tipping point. Skirmish after skirmish in often hostile federal courts has carved some sturdy pillars for treaty rights and sovereignty. But, Echo-Hawk argues, the cultural survival of Native America depends on a march to justice, and so does America’s evolution from a settler state to a more fully just society. Echo-Hawk is a lawyer, and his topic of international human rights sometimes pulls him into dense thickets of language. But far from being a slog, the words in this book are illuminated by his passion for the topic, and his deep knowledge of the fight for fair treatment in federal courts. His words often burn with clarity, as does his message: Although the U.N. Declaration is a powerful tool for asserting human rights for Indigenous Peoples, it will not implement itself. Will the native legal winning-streak hit 200? Many commentators are saying that the courts are tightening up and that the native legal winning streak will be harder to maintain for future legal challenges. They could be right but then again they could be wrong – big time! Recently, I cautioned that natives need to be more judicious in some of the cases that they are advancing and have warned them of over-reaching (recently they incurred three losses in a row – in my view – all in legal actions that may not have furthered their social justice causes). Still they nevertheless also won two significant procedural wins at the appellate court level: ‘cumulative impacts’ in Alberta (#180) and ‘Rupert’s Land’ in Yukon (#181). Both these key issues will now have new trials: the first potentially impacting the oilsands; the second potentially impacting 40% of Canada’s land mass. Stay tuned! So what makes one think that natives might hit the 200 mark? A hint comes from a case decided this week on Vancouver Island having to do with the Douglas Treaties. Again the native-side did not prevail because they failed to reciprocate by discharging their duty-to-consult obligations (being as it is a two-way street) and they were properly called-out by the court for their consultation intransigence. d) Did the Provincial Crown have a Duty to Consult in respect of the Kwakiutl First Nation Traditional Territory beyond the KFN Treaty Lands? The fact that this assertion appears in a Supreme Court ruling in mid-2013 tells us something about the narrow legal mindset emanating from BC government lawyers. While the province did adequately consult the KFN in this instance – even with this outcome – the native side did not leave court empty-handed. More over, if the same type of provincial government narrow legal-mindedness permeates the other native legal challenges presently before the courts, then hitting 200 native legal wins in the Canadian resources sector will soon be a litigation track-record certainty. And it’s no wonder then that pipelines, dams, transmission lines, woodlots, mines, run-of-river hydro projects are all heading into the legal blender in BC. ORMAN, OKLA. – The University of Oklahoma College of Law recently opened enrollment for its new Master of Legal Studies in Indigenous Peoples Law program, with classes beginning Fall 2013. The program is offered online to allow students maximum flexibility. The Master of Legal Studies in Indigenous Peoples Law program is tailored for lawyers and non-lawyers seeking legal knowledge in this specialized area. Courses are taught by internationally recognized faculty including Lindsay Robertson and Taiawagi Helton. Students may earn the master’s degree by successfully completing 30 units of credit over approximately four semesters of study. Students meet their peers and professors at an introductory course on campus at the beginning of the academic year, although this requirement can be waived for good cause. Students then complete the remainder of their degree plan through courses online. To qualify for admission to the Master of Legal Studies program, applicants must have earned their bachelor’s degree prior to the first day of class and have strong letters of recommendation, as well as leadership potential. The Master of Legal Studies Admissions Committee operates under a rolling admission process, and admissions may continue until the start of classes. However, applicants are urged to submit their application and supporting documents online at www.law.ou.edu/mls as soon as possible to receive priority review for August enrollment. The program has received American Bar Association acquiescence, and is pending State Regent approval. For more information on the Master of Legal Studies programs, visit www.law.ou.edu/mls.